Abstract—The purpose of this study was to investigate the differences of knowledge dimensions and cognitive process patterns of students with different cognitive styles in STEM collaborative learning activities. These students used Packet Tracer and Facebook to conduct collaborative problem-solving activities on network troubleshooting in order to learn related knowledge and skills; the researcher then utilized a hidden figure test to divide them into “Field-Independent Group (FI Group)” and “Field-Dependent Group (FD Group)” to investigate their learning outcomes. The results showed that their learning outcomes had improved. The researcher further used “Revised Bloom’s Taxonomy (RBT)” to code their group discussion contents and also content analysis and sequential analysis to investigate their knowledge dimensions and cognitive process patterns. The results indicated that knowledge dimensions of “FI Group” and “FD Group” were diverse; moreover, “FD Group” had an additional high-level knowledge dimension – C5 (Evaluate). For cognitive process patterns, students of “FD Group” had diverse transfers of knowledge deepening and cognitive process patterns; this meant that they could apply, analyze and even reflect known knowledge through the learning process. The participants of this study were the students studying introduction to IT at a university in Taiwan. In the future, it was expected that participant range could be enlarged so that more holistic references could be provided for teachers and researchers. Index Terms—Cognitive style, knowledge dimension, cognitive process, collaborative problem solving, CPS. The authors are with the Chinese Culture University, 231 Taipei, Taiwan (R.O.C.) (e-mail: pclin@sce.pccu.edu.tw, sklu@sce.pccu.edu.tw, yinclin@sce.pccu.edu.tw). 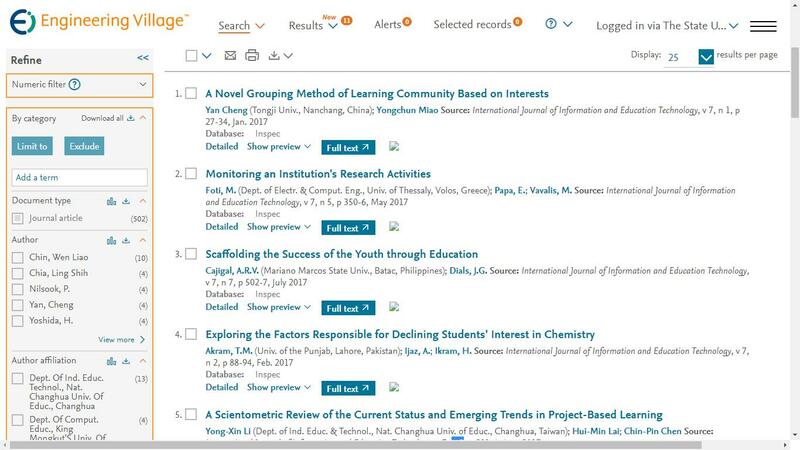 Cite: Peng-Chun Lin, Hsin-Ke Lu, and Yin-Chen Lin, "A Study of Knowledge Dimension and Cognitive Process Pattern of Cognitive Style Differences in STEM Cooperative Learning Environment," International Journal of Information and Education Technology vol. 8, no. 10, pp. 720-724, 2018.